I was reflecting on mental wellness struggles (those in our house and in the lives of friends) lately when I saw this article in the Huffington Post: “What If People Treated Physical Illness Like Mental Illness?” It struck me how much of the article was true, but more than that, it reminded me of a related kind of problem: when people only want to see our rainbows, but we are currently walking in mud puddles. I’m not saying we should dwell on the bad stuff; however, if someone is in a season of months of chemotherapy, we might not want to go on and on about how good we feel (rainbows) and then shut the conversation down when they might want to vent for a second about how discouraged they feel (mud puddles). Balance is awesome. In a word, this is about depth, but it’s also about with whom we can be real. We often know when our conversation needs to end at “Yeah, overall, we’re good” and when we can take it further and talk about the more raw stuff, the failure that just happened, the bump in our road, the learning experience. So many times people want to know why they are the last to know a sad, difficult, frustrating, devastating moment in our lives, but when we’ve tried in the past to go there, they really only wanted to hear the fluff. you will be there for me when I have a bigger, harder thing to tell you, and I know you are safe in the rough waters. but you may find yourself on the other side of the line when my Mud Stomping Peeps rally during a heartache, and I don’t want you to feel left out, but you might feel that way anyway. And if Rainbow Walkers are okay with that, I’m learning to be good with that too. I love the people in life who are really good at celebrating and pointing out positive things. It can be a bright light to keep us focusing on our blessings. It has tremendous value in our lives—as long as we can “get real” once in a while during a mud puddle moment and not be dismissed. their role is to cheerlead only, from the rainbow side—to celebrate our walking out. The only time this breaks down for me is people claiming they strolled through mud puddles with us when they are clearly still under the rainbow waiting for us to bebop back over in the form of our happier selves. If we’re Rainbow Walkers, let’s at least just be honest about it. I love being in the rainbow. I love my happier self. But I can’t always take a stroll with people if they need to remain there and can’t walk over to the mud puddle once in a while to help someone else out. I am very happy to meet them back in Rainbow World, though, when I get out of the mud puddle, or when I get back from visiting someone else in his/her puddle. Certainly, we strive for the rainbow, but mud is also present, and we all get stuck in it now and again. The rainbow reminds us there is hope and encourages us to look up when the mud is thick and seemingly holding us down. If we feel cast out or not in the know, where can we examine our communication and what we perhaps convey? Do we want to walk over to someone’s mud puddle, or keep our distance but support them when they get back to the rainbow? If we feel safer dancing in rainbows, because that’s how we roll, that’s completely fine, but then can we accept that we may feel excluded when the march took a detour through some cloudier paths for a while? It’s all about expectations—what role we play in any given relationship. It always is. And understanding this distinction always helps me to keep my expectations where they should be, whenever I consider my role in the relationship and the role the other person also plays. I used to get mad when people only wanted to see my rainbows, but now I realize they are there holding a place, and it’s okay if their feet didn’t get muddy yet. Because I know muddy pretty well by now, and I know exactly how to bring them back to their rainbow when they find themselves in sludge they have never navigated before. And when we get back to the rainbow, there will be a Rainbow Walker holding a place for us. I believe Jesus was both. 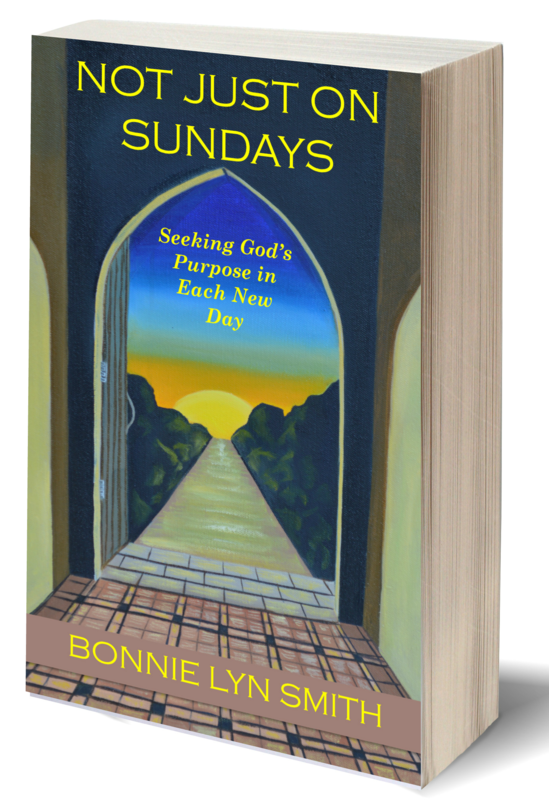 More on navigating relationships with healthy boundaries and much grace can be found in Not Just on Sundays: Seeking God’s Purpose in Each New Day. This blog can also be found at Simply Inspired Wednesdays.